Out of Bounds. How Far is Too Far? The foundation of sport is competition…Is it not? From our early years in organized sports rivalries are formed. There was always that one team that out-right squashed your team and you couldn’t wait for a re-match. I suppose thoughts of adoration filled your mind and you only spoke highly of this dreaded opponent. NO! You complained, put down, and downright plotted your revenge till you faced them again…and during that match up frustration and anger propelled you to compete with vigor! Right? 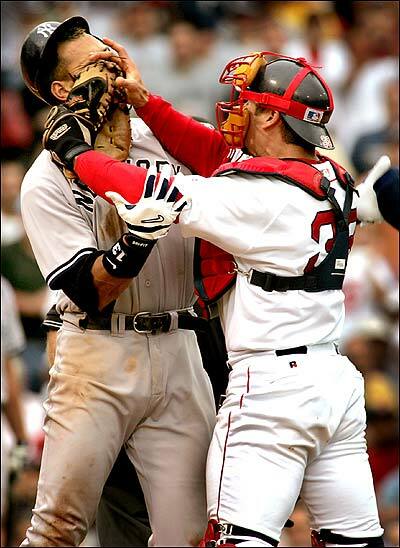 Of course, we were all taught about sportsmanship. We tried our best to play a safe game, shook their hands afterward and were embarrassed of parents that acted inappropriately from the stands (for the most part.) However, did we lose more and more of this weak version of sportsmanship that we have turned into ruthless, offending fans? That is not really the question. The question is how much of this behavior is unacceptable. I have been labeled a “hater” by many of my friends and foes. Whether or not that is true is debatable. I have never liked Tiger Woods…what am I expected to say after his scandals? Come on! Look...I believe that sport needs a healthy dose of trash talk. I can handle it. Bring forth the comments about how the Twins are mediocre and how OU will never win a NCAA National Championship! If we have no foes on a team and personal level, what can we fight for out there? What is the glory of winning if you are not overcoming doubt and adversity? People are offended WAY too easy when it comes to sport. Friendships are lost simply because one makes an “unacceptable” comment about the team or sport someone loves. Why is that? People voice that “everyone should keep their opinions to themselves, “and “why do you have to hate on him? He is just a man!” Let me address these two comments. Do you watch ESPN, read Sports Illustrated or tune into local sports radio? These media outlets are filled (whether you want to admit it or not) with opinion and bias that skews public opinion daily. Ask everyone to not share whatever it is they think or feel about sports, and you would beg for it back after a week! Also, athletes from the college level up choose to be put in the spotlight and are compensated for their service. They have an obligation to the media and the public. Do we cross the line into what is fair game? Absolutely. But athletes know that is likely before going into the situation. You really can’t feel sorry for them can you? What “King James”, had hoped would be a television event that would be as epic as his performance on the court, turned in to well…epic television alright. The Decision aired on ESPN, July 8. It was watch by thousands, and also ridiculed by thousands. It is certainly epic in my mind as the biggest waste of space that could have been used for relevant sports chatter or better yet, a baseball game perhaps! I am not sure what James accomplished, except gaining even more attention to his crazy antics, and a Steve Carell spoof during the ESPYS. That is actually something he can take pride in being associated with…because that was funny! Speaking of the ESPYS…thank goodness for their existence. Pulling up At Bat (MLB.com app for baseball scores and news) to see “no games scheduled” in the middle of summer is almost heartbreaking. Thus we are saved by ESPN’s night of celebration, remembrance and laugh-out-loud humor! However, there is one basic thing to note when watching the ESPYS. It is the nominations that are worth watching. Calm down if you feel your favorite MLB team, NACAR driver, or heroic play during the NBA finals will win a single award. 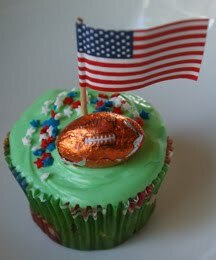 NFL football rules the hearts of fans in this nation. If a football shows up in a highlight reel…an award will ensue. Due to the service provided by the ESPYS…we are ok with that! Simply called The Open Championship because of its historical significance to the sport of golf and tournaments alike. The Open, played this year on the Old Course at St. Andrews in Scotland was thrilling, despite lacking the story of 2009. In 2009 you had the almost legendary comeback of one of the Open’s finest champions, 59 year-old (at the time) Tom Watson. Watson came back to take the lead on Sunday of the 2009 Open Championship and eventually would enter a playoff situation leaving Stewart Cink to win his first Major Championship. I must say tears came to my eyes as Watson re-called what could have been in 2009, though I was of course proud of Stewart Cink, a solid favorite of mine. 2010 would not provide the drama of 2009, however, it was refreshing to watch players from a variety of positions in the FedEx Cup Rankings battle for top spot on the leader board. Glimpses of Tiger and Phil were few and far between as viewers were privy to the talent of Oosthuizen, Casey, Westwood, McIlroy and Stenson. None from the US and none greater at St. Andrews than Louis Oosthuizen of South Africa, who shot 16 under par for the win. Notably, Oosthuizen, whose caddy Zach Rosego is the only black caddy on the European Tour, gave a happy birthday wish to Nelson Mandela and expressed his excitement over all the South African flags present Sunday in support of his victory. Out With the Old…Mike Modano stirs up interesting debate. Think about that old guy that you work with about whom it is said once a week “why doesn’t he just retire? If I was his age I would be long gone!” We end up thinking that it would be much easier to have this guy…who is very personable and is looked to as a leader…move on and make room for someone younger with a fresh spin on things. This is not unlike the Mike Modano “situation” that became a final decision June 30th. After 22 years with the NHL, Mike Modano was asked to depart from the Dallas Stars. This spurs the debate: was it fair to force a guy who was once considered the face of the franchise, out instead of allowing him to decide his retirement date? Modano was drafted in 1988 by the Stars organization as the first overall pick. The center has not been a front line player for the last two years. 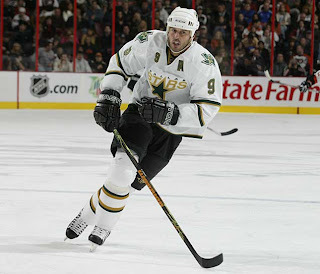 In 2009-2010, Modano played in 59 games and had 14 goals in 16 attempts. Compare this with Patrick Kane of the Chicago Blackhawks who played in 82 games and had 30 goals in 58 attempts…plus a trip to the 2010 Winter Olympics in Vancouver. Kane, right wing, was also drafted as a first overall pick by Chicago in 2007. Mike Modano isn’t the only geyser on the block that has left club owners thinking it might be time to alleviate his salary from the payroll. What about former Seattle Mariner Ken Griffey Jr.? Griffey was the 1st overall pick for Seattle in 1987 and made his MLB debut in 1989 with 455 at bats, 61 runs, 120 hits, 16 home runs and a .265 batting average. Last season the designated hitter (DH) for Seattle had 387 at bats, 44 runs, 83 hits, 19 home runs and a .214 average. Ah, DH, where baseball greats ride out their career with ease! American League MVP in 2009 and Minnesota’s 2001 1st overall pick, Joe Mauer had 523 at bats (out DL for first part of season), 94 runs, 1914 hits, 3 home runs and a .302 batting average as starting catcher. Ken Griffey Jr., made the decision to retire in June of the 2010 season. Arguably the most controversial example is that of NFL great Brett Favre. After dragging his feet about retirement and joining the Minnesota Vikings for the 2009 season, Brett Favre posted 363 completions in 531 attempts, for 68.4%, 7 TDs and 7 interceptions. The 1991 draftee (2nd round pick of the Atlanta Falcons) played his first season with Green Bay in 1992 with 302 completions, 471 attempts for 64.1%, 18 touch downs and 13 interceptions…only 3 seasons prior to his 1996 NFL Championship season. Peyton Manning was the 1st overall pick of the 1998 draft for the Indianapolis Colts. In 1998 he had 326 completions in 575 attempts for a 56.7 percentage, 26 touchdowns and 28 interceptions. In 2006 he led the Colts to a Super Bowl Championship and in 2009 had 99.9 completions in 393 attempts for percentage of 68.8, 33 TDs and 16 interceptions. Seemingly, these QBs have the best argument for sticking around, as both Manning and Favre have gotten better with age. This debate only exists because fans look to these athletes in a nostalgic light. “But I started playing baseball because I wanted to be just like Ken Griffey Jr.,” “But Modano was the reason I grew to love hockey!” These are points to note, however, that is why we have hall of fames. We are given the opportunity to appreciate the career of our favorite athletes, all the while…teams have space on their payroll to bring in a rising star that will be the reason for new generations to fall in love with the sport! Let’s find the room to bring in these young guys who have worked hard for their big shot…room on the payroll and in our fan club.